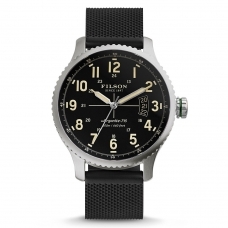 Assembled by hand, Filson watches feature a scratch-resistant sapphire crystal with anti-reflective coating, stainless steel case, a screw-down crown and a case back secured by six screws for protection from the elements. 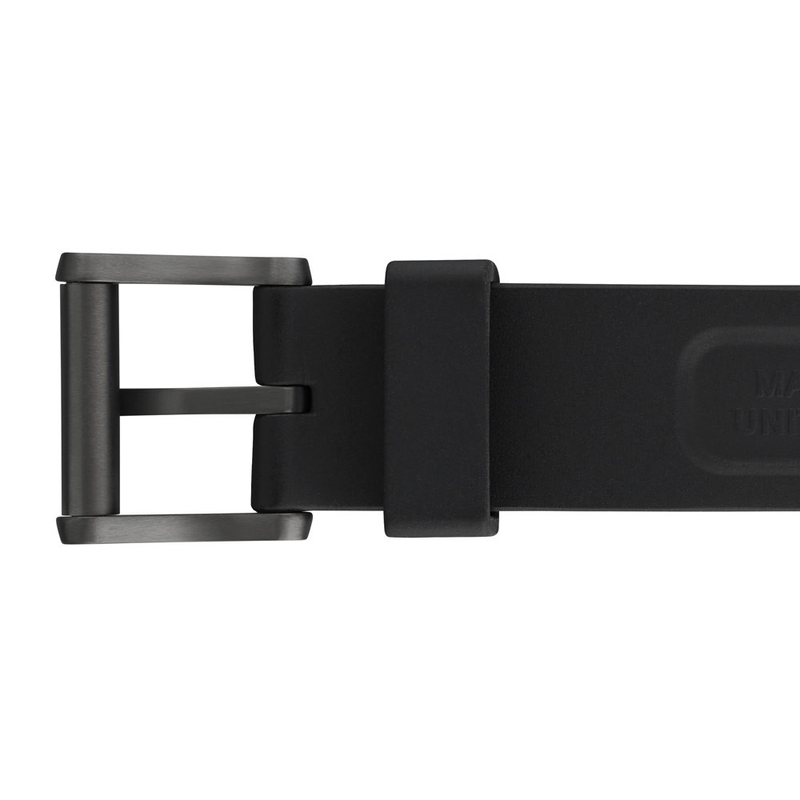 Each is rated at 20 ATM, or 660 feet, and made of the most durable materials available. 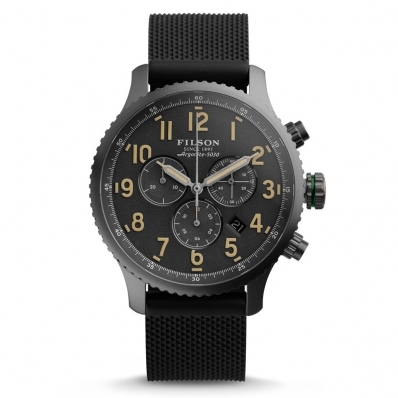 FILSON MACKINAW FIELD CHRONO WATCH GRAY 10000310, built to withstand the demands of the field. 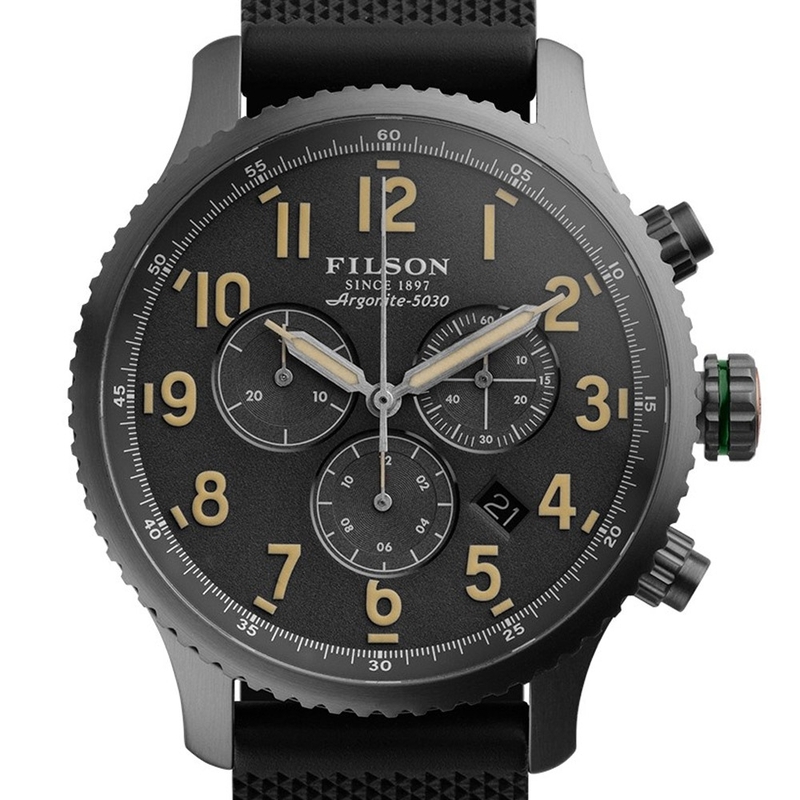 With a name rooted in Michigan industry and synonymous with rugged outdoor quality, the Filson Mackinaw Field Chrono Watch Gray 1000310, is built to last. 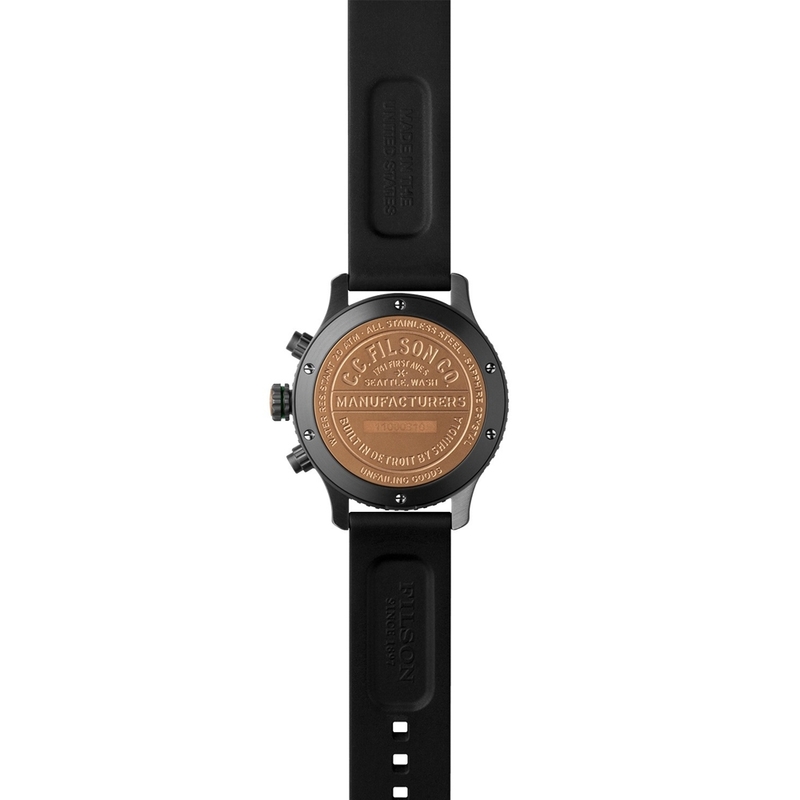 Assembled by hand in Shinola's state-of-the-art Detroit factory, this chronograph watch with date is built to withstand the demands of the field. 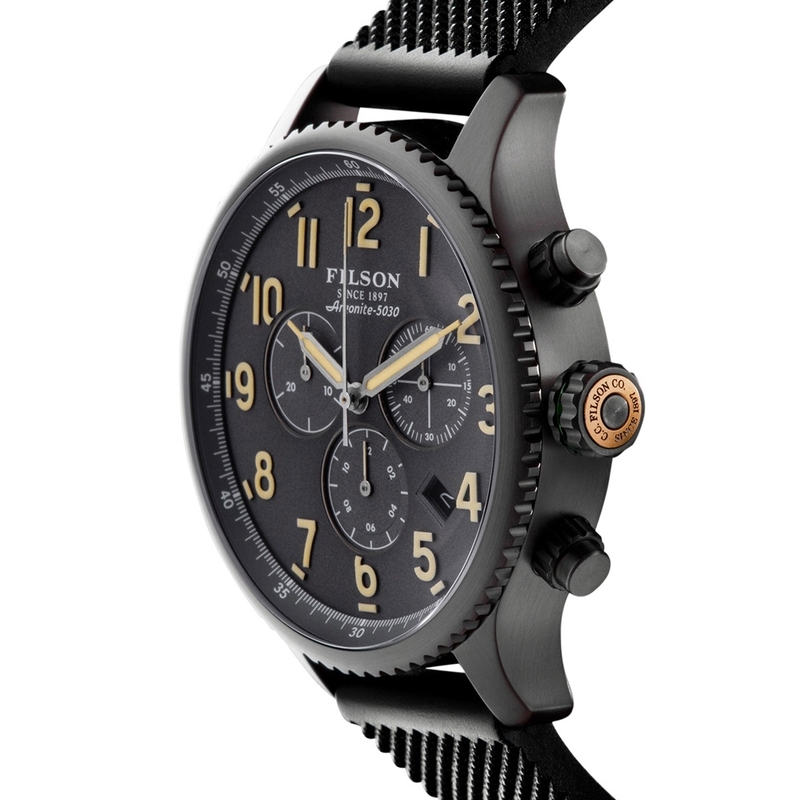 It's powered by Shinola's Argonite movement, and has a stainless steel 43mm case with brushed gunmetal PVD plating and anti-fingerprint coating. 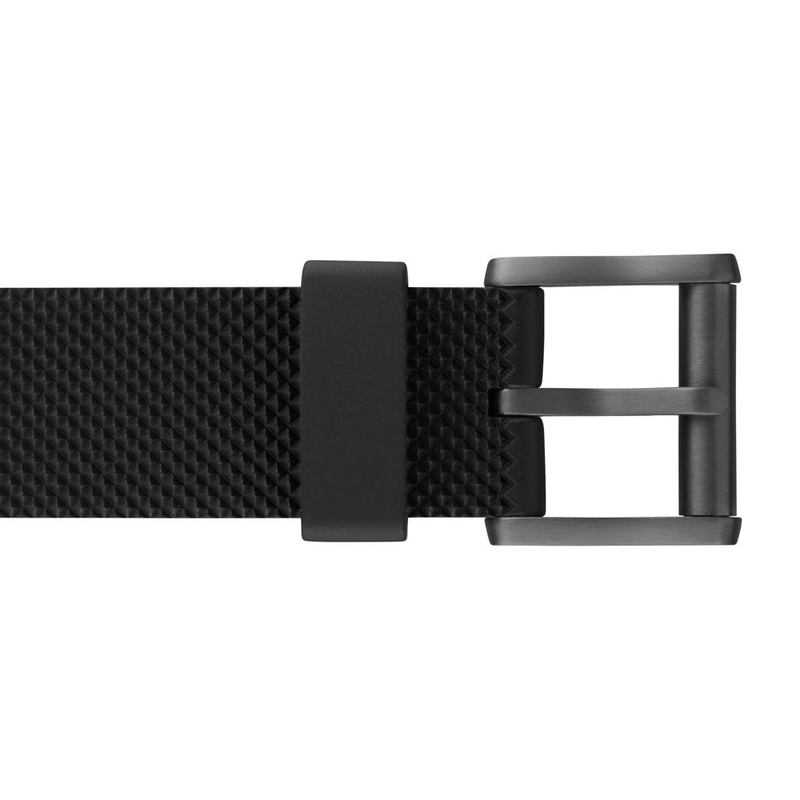 The scratch-resistant sapphire crystal has an anti-reflective coating for glare reduction. 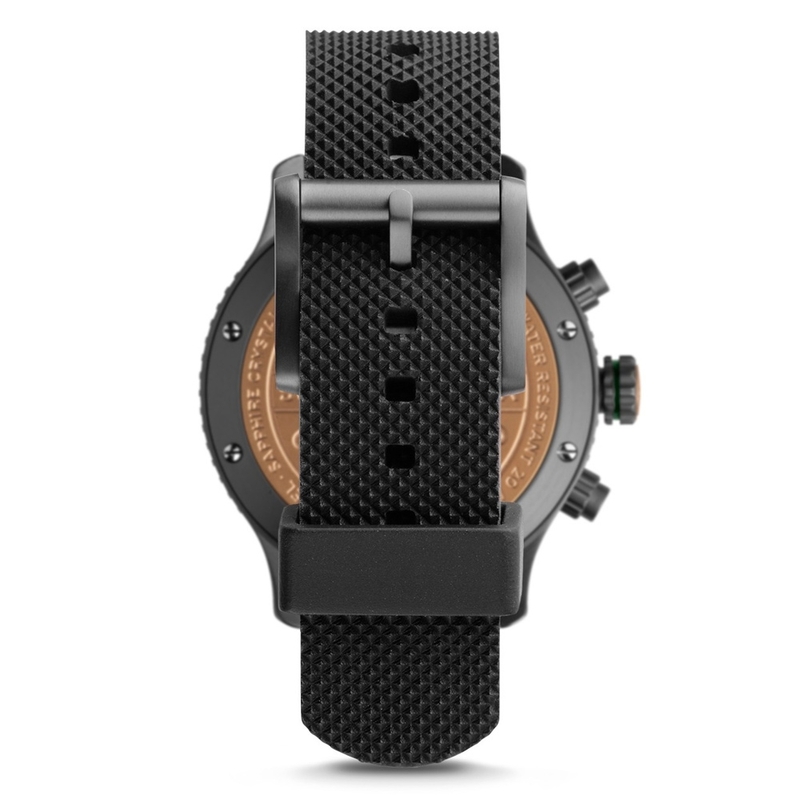 This watch is rated at 20 ATM (or 660 feet), with a screw-down crown and a case back secured by six screws for protection from the elements. 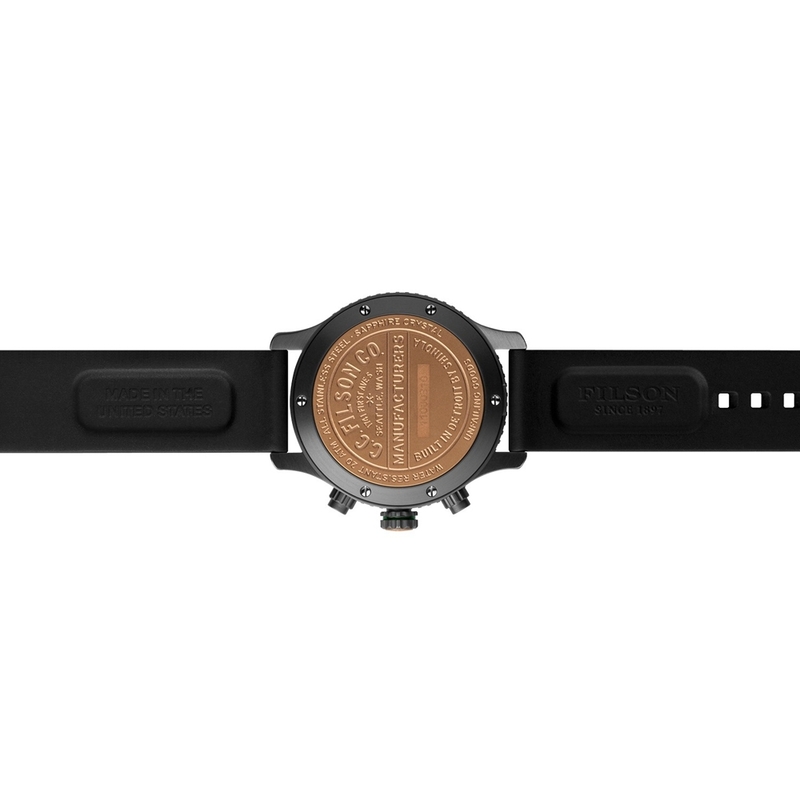 Additional features include a USA-made rubber strap with a buckle inspired by our classic roller buckles, and a gray dial and tonal gray eyes with Super-LumiNova hands, numbers and index to maximize readability. 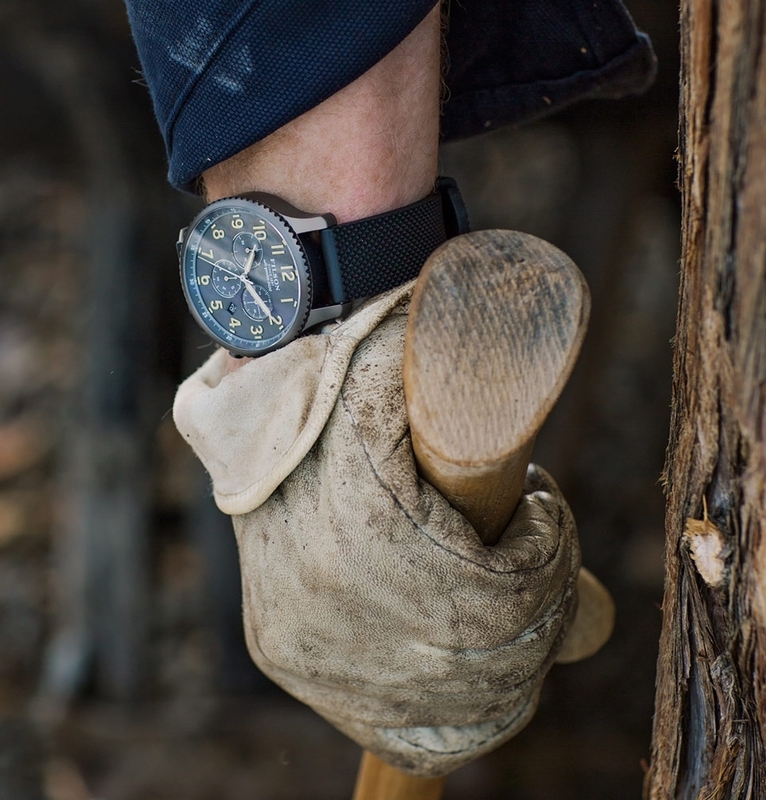 Our watches are built to last, and covered under the comprehensive, best-in-class Shinola warranty. A limited lifetime guarantee on every watch Filson make. 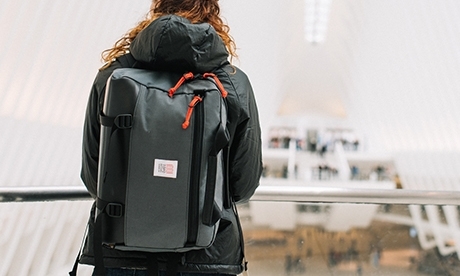 Filson beliefs that products should be built to last, and should be built right in America. 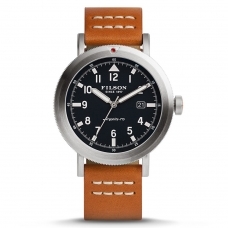 That’s why Filson is proud to handcraft watches that are made to last a lifetime or longer. 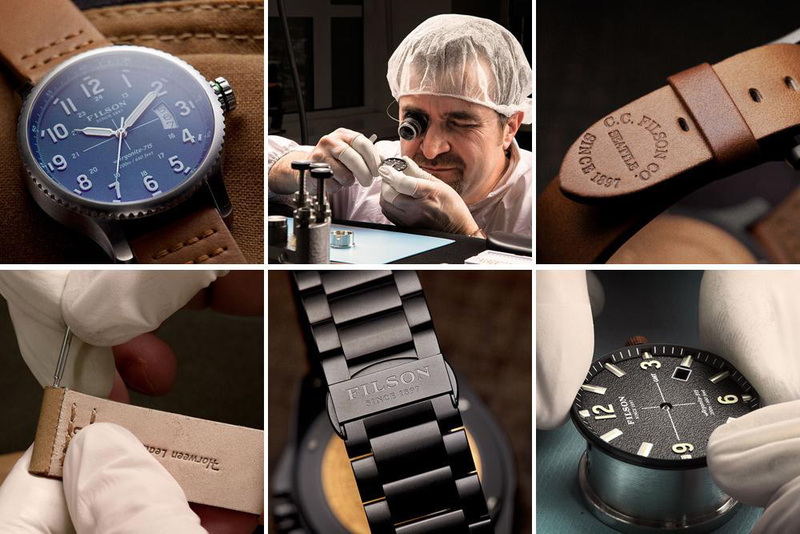 To back up that claim, Filson is excited to introduce an unmatched quality standard: every Filson watch is guaranteed for life under the terms and conditions of Filsons warranty. 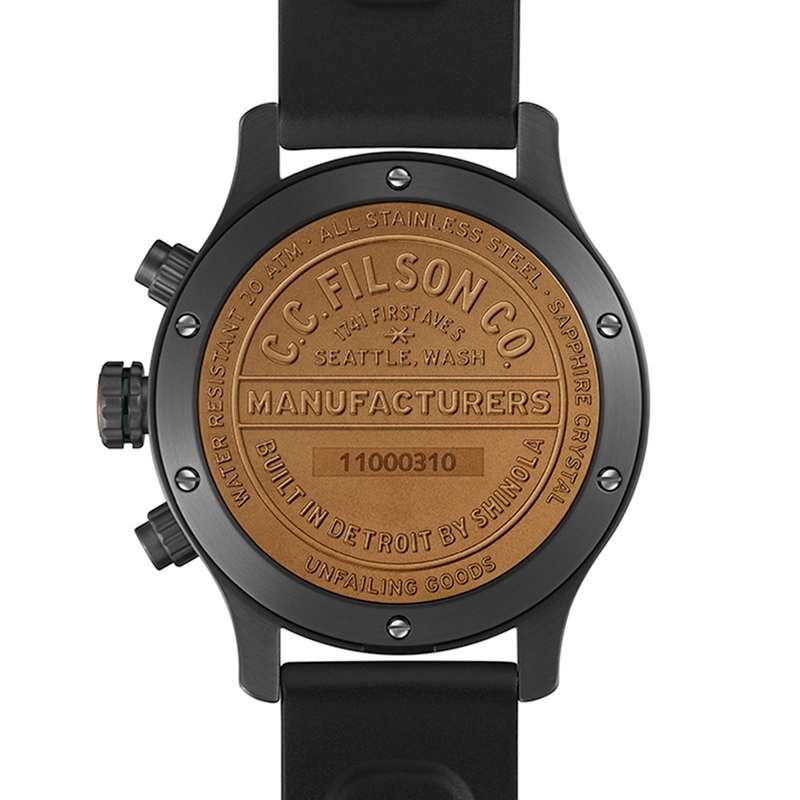 Filson is able to offer this guarantee because they source only the best available watch components and utilize a handmade production process in Shinola state-of-the-art Detroit factory. 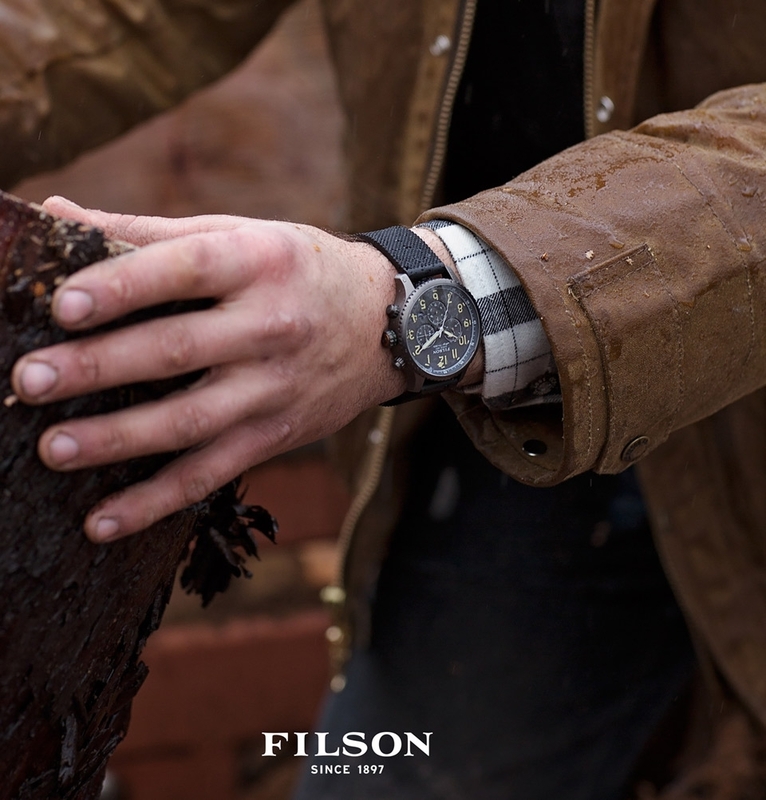 After all, there's a certain satisfaction in knowing your Filson timepiece can be passed down to the next generation, and Filsons limited lifetime warranty ensures it will be. 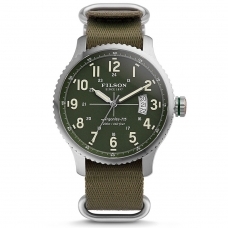 Every Filson watch is guaranteed for life under the terms and conditions of Filsons warranty. 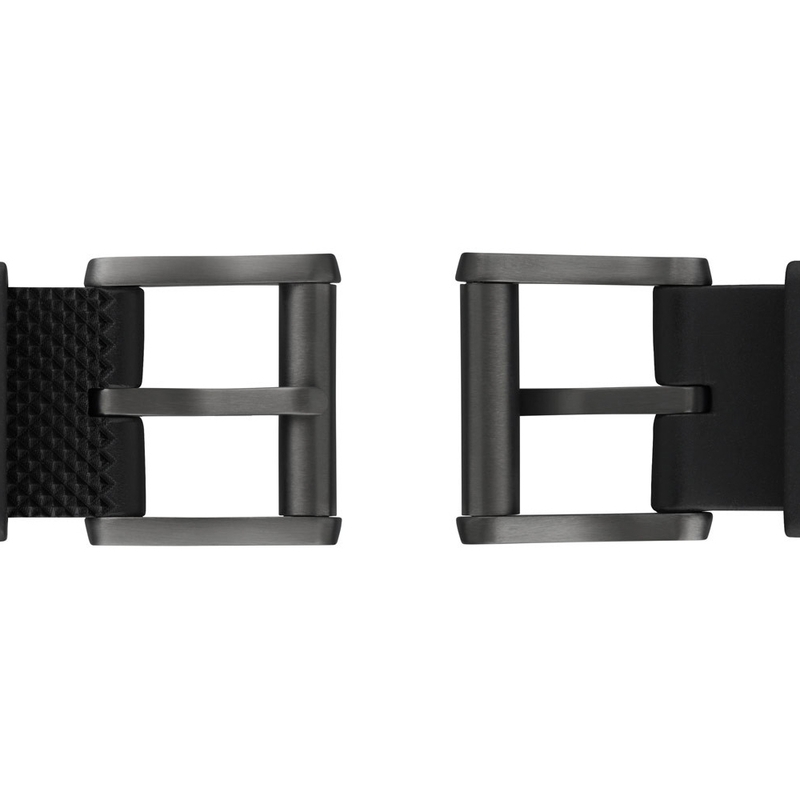 In case of defects covered by the warranty, all components (excluding battery, leather strap and buckle) will be repaired or the watch will be replaced free of charge. 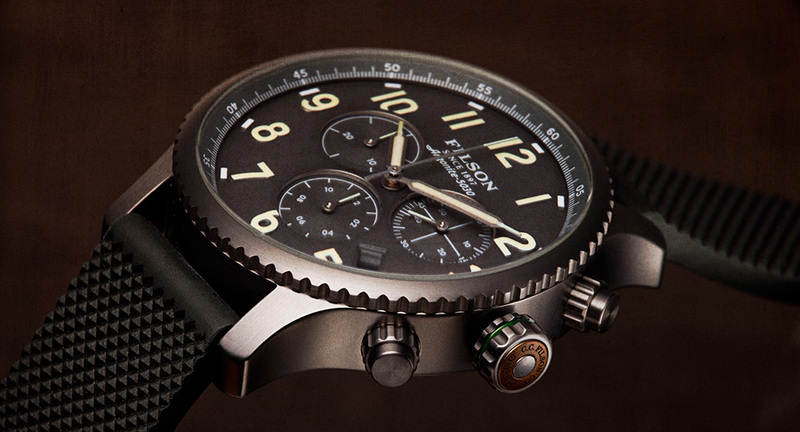 If the exact model is not available for replacement, a watch of equal value and similar style will be provided. 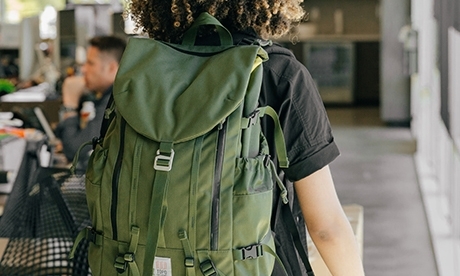 A copy of the receipt and/or your completed warranty card is required as proof of purchase.